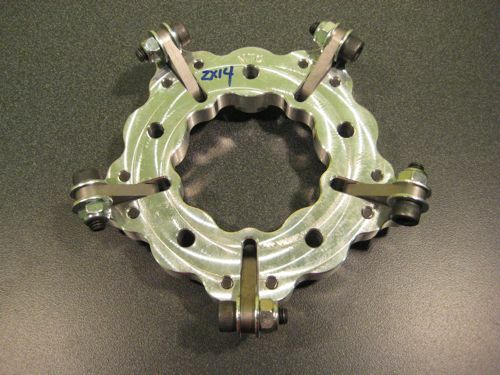 MTC's 2 Stage Lockup clutch helps eliminate high RPM slippage. Weighted rocker arms apply centrifugal force to the modified OEM pressure plate allowing manageable clutch lever engagement and additional clutch pack pressure as engine speed increases. Rocker weights can be varied to increase or decrease clutch engagement action. Standard pressure plate requires modification (core required) with steel button inserts at weighted rocker engagement location. All available models include a clutch cover spacer.